GoXtra News: Chelsea Football Club: Will Andre Villas-Boas be the next “special one” at Bridge? Chelsea Football Club: Will Andre Villas-Boas be the next “special one” at Bridge? Avram Grant, Filipe Scolari, Carlo Ancelloti, Jose’ the special one’ Mourinho, Guus Hiddink et al they failed, oh a least according to Roman Abramovich. And then what next! He turns to the little unknown Portuguese Adrea Villas Boas. He just turns 34 recently and it amazed almost everyone whether he can be the right man to lead Bridge at his age? Roman has agreed and put his faith in him. The mandate was clear from the start, play entertaining football. And after few games with him on the helm, Chelsea has been entertaining, but as always it came with its own consequences. Once all the focus is on attacking, the backline will be opened. We seen it Old Trafford and recently at Bridge against Arsenal. Everything comes with time, its look as if he has succeeded in getting Chelsea playing lovely football and now the focus is at the back. Frank Lampard, Didier Drogba, Nicolas Anelka, they are all in and around the same years as him. Can he manage them and get their respect? Every coach needs his change room to be on his side before taking on the field. More to that is that, all of them will have to compete for their place and if they are not playing, they can be unhappy and that may lead/erupt problems for AVB. Drogba and Anelka they are both competing with Fernando Torres who is clear favourite so far. If Chelsea were successfully in their pursuit of Luka Modric it remains to be seen whether Frank would have been playing as he is. But it clear at 33 he can no longer lead the Blues to the Barclays and Champions League all season long. 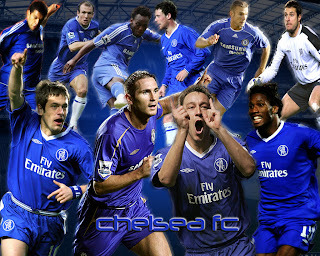 So Chelsea should to go back to the market in January and try to get a play maker-what will that mean to Lampard? AVB will have to decide. On top of that he still needs to convince the Bridge legendary consisting of John Terry, Lampard, Cole, Essien etc that the new style of play he is employing is the way to go. Everyone has been talking of AVB as the Chelsea’s new Ferguson. He is a good coach, no doubt about that. But with all this changes that he has to make, it’s clear he won’t win straight away, he still need to build a team and change their mentality of defensive football to offensive one, at the same time learning not to leave themselves exposed at the back. All comes with time. Can for once Abramovich be patient with him? And allow him to build his own ‘Barcelona’ at Bridge, time will tell. With Terry, Lampard, Anelka, Malouda, Cole, all in their 30’s it means he will have to make massive changes and blooding new talent at Bridge. Chelsea patted ways with two of the best coaches in the world, Jose Mourinho and Carlo Ancelotti. Amazingly both have won UEFA Champions League in their coaching career, which is something that Abromavic is craving for. They both have experience in EUROPE compare to the young but talented AVB. So Roman decision will defiantly come back to test his patient, which is suspicious. AVB is one of the best respected managers after just few years in coaching career. He started coaching in 2000, where he coached British Virgin Islands for one year. He came back in coaching in 2009, where he spent one year at Académica de Coimbra. From there he followed his mentor footsteps to FC Porto, and again he spent just a year. But it wasn’t just a one professional year, but highly successfully. AVB won a treble, consisting of Portuguese Super cup, Portuguese Primeira Liga and UEFA Europa League. By archiving these feet, he became the youngest to win the Primeira Liga, behind Mihály Siska and Juca who both archived these feet in 1983/39 and 1961/62 respectively. And the youngest manager ever to win a European competition, by winning the Uefa Europe League on 18 May 2011 at the age of 33 years and 213 days. His success didn’t went unnoticed, came the big spending London giant, Chelsea knocking, and they was no way he could say no. He resigned at Porto and followed the special one footstep and joins the Blues. The young man is now completely on the spot light. He started his Chelsea career with impressive pre-season wins. His first official match as Blues manager saw him travelling to Britannia Stadium to face Stoke City and his first official results was a goalless draw. From there he pulled together an impressive run of wins before he visit the Old Trafford to face the Champions. His team played well, to some better than the Champions but the score line was 3-1 to United at the end and it’s was his first defeat as a Chelsea manager. From there it was convincing run and play for Chelsea, getting them to play entertaining football that Roman has asked for. But back to back defeat to newly promoted Queens Park Rangers and home defeat to Arsenal shake the Bridge, leaving some people questioning his defensive method as Chelsea fail to keep a clean sheet since the opening day. So is it early to say Chelsea has finally found their ‘Alex Ferguson” or Arsene Wenger? 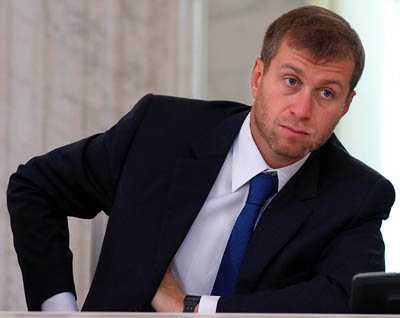 Everybody knows (Generally) that Roman Abramovich can be short of patient. So can he be for once patient with AVB and allow him to build the team, or if he don’t win, he will be another state of Chelsea manager biting the dust? 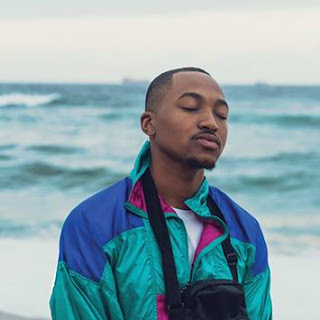 Written by Fanele “thenatureboy” Mbuyazi.